Joseph Parson’s New Book “Recovery Workbook for a New Generation” is a Truly Inspirational Workbook to the Road of Recovery. Recent release “Recovery Workbook for a New Generation” from Page Publishing author Joseph Parson is a new age workbook that strengthens the meaning of the twelve step program. 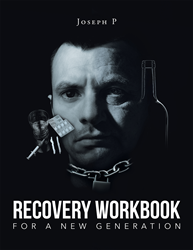 Joseph Parson, a first time author, has completed his new book “Recovery Workbook for a New Generation”: an educational and informational work that clarifies what recovery really means. Joseph Parson was born in New York City. At the age of eighteen, he was introduced to heroin by his brother and became addicted shortly thereafter. For more than thirty-eight years, he has experienced the devastating effects of heroin addiction. Having two failed marriages, lost respect of family and friends, and the threat of jail, he decided to move to Massachusetts for a new start. He continued his heroin use and indulged in other criminal activities to support his habit which landed him in jail numerous times. Feeling alone, hopeless, and desperate, he entered a detox; and on August 10, 1998, he was accepted in a recovery home where he surrendered to the program of recovery. In 2001, he was hired as a residential counselor at a DUI program where his passion for the twelve steps were born. He continues to facilitate twelve step groups along with conducting twelve step presentations. Published by New York City-based Page Publishing, Joseph Parson’s informative work discusses how the road to recovery should not be solely based on the idea of sobriety. The alcoholic of previous generations was generally perceived as weak, middle-aged men. They were viewed as being homeless, sleeping in alley ways, begging for change at street corners. Their clothes were filthy and smelled of urine, the remnants of earlier purging still evident on their clothes. Upon entering recovery, prior generations benefitted greatly from the information and instructions they received by those that came before them. All the same reasons the alcoholic of prior generations began and continued drinking and using other drugs are the same reasons this new generation began drinking and using other drugs continuously. The program of recovery has not changed over the years. It is the same today as it was yesterday. Unfortunately, there seem to be too many misinformed alcoholics that believe sobriety equals recovery and sobriety becomes the focus. This way of believing is crippling, devastating, and fatal. It diminishes the alcoholics/addicts’ ability to receive the full benefits that each step offers. Readers who wish to experience this inspirational work can purchase “Recovery Workbook for a New Generation” at bookstores everywhere, or online at the Apple iTunes store, Amazon, Google Play or Barnes and Noble.